Optimized for efficiency, the Jetboil Flash boils water in a lightning-quick 100 seconds, making it the fastest Jetboil ever. Jetboil's 1-liter FluxRing cooking cup with insulating cozy makes boiling water—and keeping it warm—a breeze. Start heating instantly with the convenient, reliable pushbutton igniter, and verify that the water's ready with the thermochromatic color-change heat indicator. 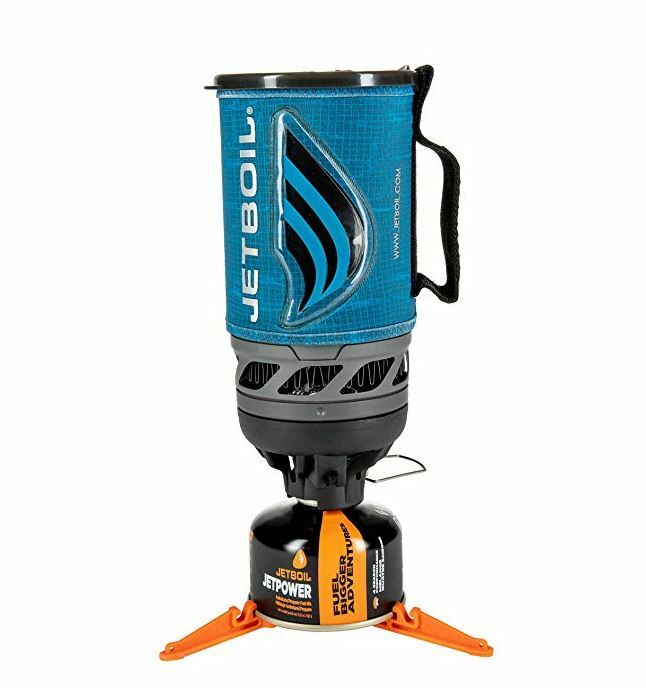 Compatible Jetboil accessories, such as a coffee press, hanging kit, pot support, skillet, FluxRing cooking pot, and utensils make this a necessity for your next backpacking adventure. Includes fuel canister stabilizer; bottom cup doubles as measuring cup and a bowl; easy to pack and carry at only 13.1 ounces. One-year limited warranty.